The Social Dog – Treat. Play. Love. Most clients i see want to spend time with their dog in social settings – friends houses, walks with friends, dog parks, the beach, etc. Sharing time with your dog and others can be one of the great joys of owning a dog. For some chilled out pooches it comes naturally to be social, but for others it can be more challenging (and some would prefer to stay home altogether). Recognising inappropriate play can be really difficult for the average dog owner. It is easy for overly boisterous dogs to pursue a more polite or shy dog relentlessly, and equally easy for a shy dog to be overwhelmed without being noticed. Rather than jumping in the deep end with play, take time to learn about body language so you can interrupt if play goes pear-shaped. The Dog Decoder app is a great resource for any dog owner to learn about basic dog body language. Also spend time on some foundation training skills with your dog. 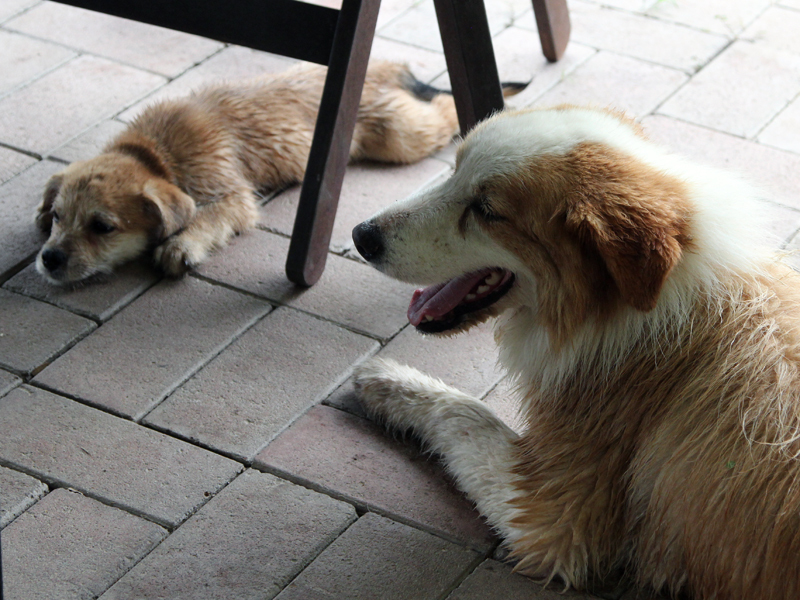 Teach him that great things happen when he stays calm while other dogs are around. Help him learn to focus on you and respond to cues in the face of distraction. 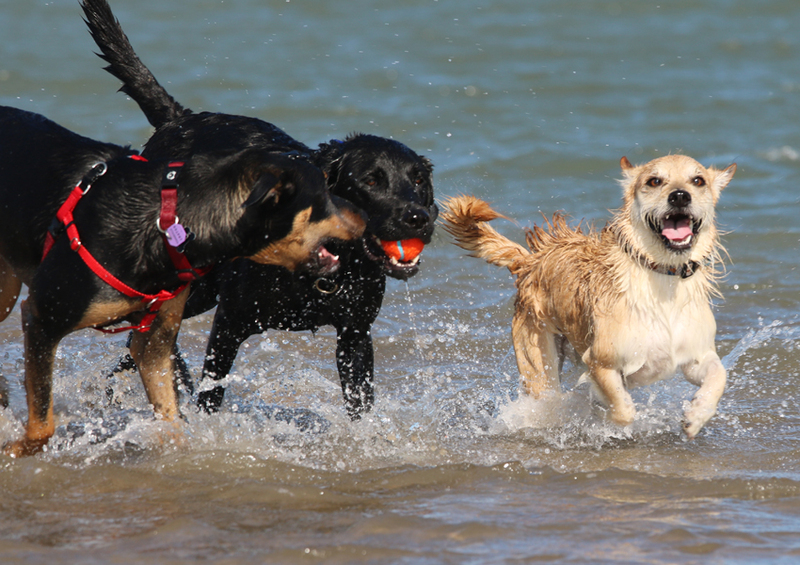 The majority of the time when we see other dogs it won’t be appropriate for them to play (e.g. passing on walks, in training classes, at dog-friendly cafes), so teaching your dog to be calm around other dogs should be your top priority. When you do introduce your dog to new friends, focus on keeping the play short and happy and space out the play with short pauses where you reward settled behaviour. Happy play involves loose and wriggly dogs, lots of play cues (play bows, loose waggy tails, etc), and respect of the other dog. The players should take turns chasing and being chased, wrestling and being wrestled, etc. If you think either party is not enjoying themselves, pause the play. Play fighting can easily degrade into actual fighting, and play chasing can become predatory, which is why those frequent breaks let everyone stop and chill, and keep from becoming over-stimulated. Dog friends are awesome, but only when everyone is getting along and having a great time. Putting your dog in social situations that make him uncomfortable won’t help him to feel better around other dogs, it will likely make him feel worse. Your job as a dog owner is to ensure your dog is safe and happy, and that may or may not include play dates with other dogs. If you need help with dog training in the Townsville area, contact Treat Play Love today. Previous Have you trained that? Next What makes a “good dog”?